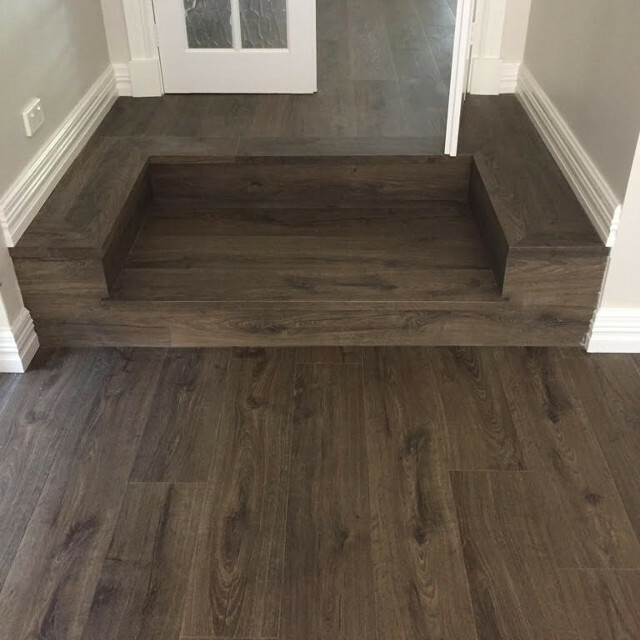 Laminate Floors are 100% manufactured products and feature a layer of quality timber beneath a clear protective layer of laminate. They consist of a surface wear layer, photographic print, and a very stable core board and moisture resistant backing. They range in thickness from 7mm to 12mm , vary in gloss level and dimensions and come from a variety of different sources. 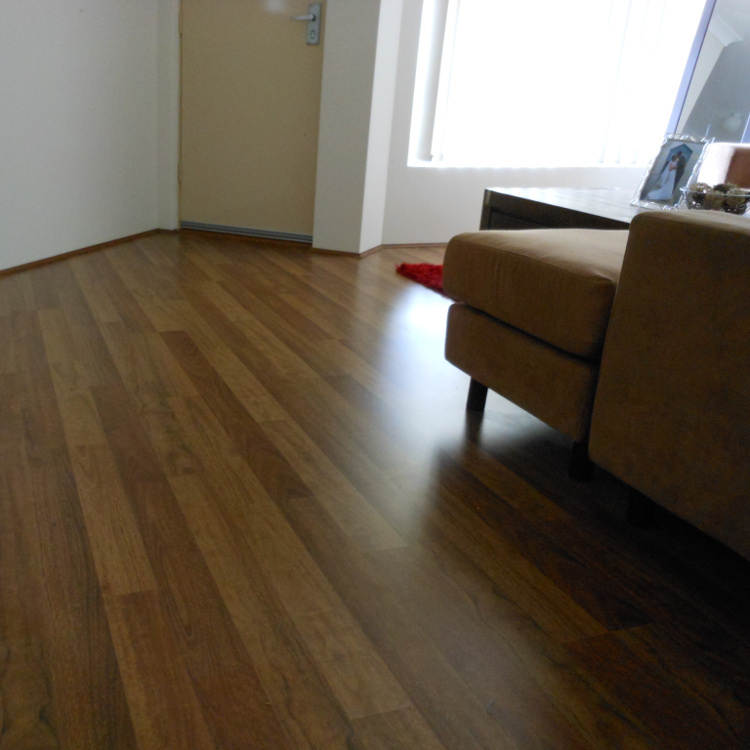 One of the most durable and scratch resistant floor products available. 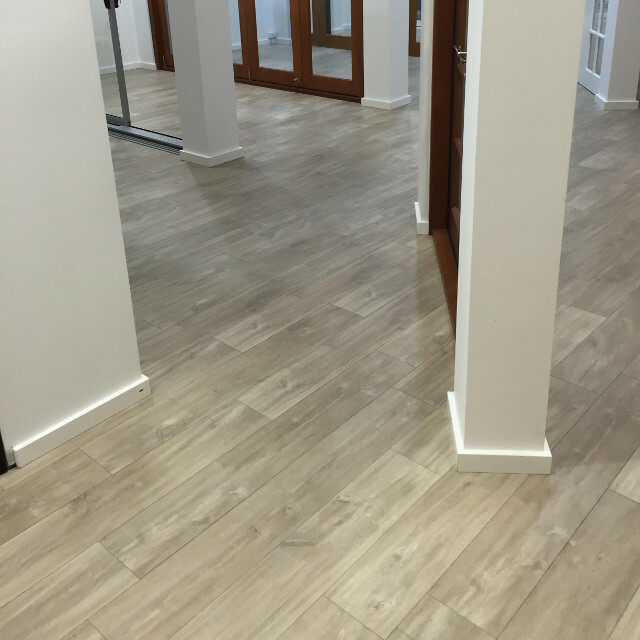 The laminate flooring is installed in a floating floor system on an acoustic rubber, cork or foam underlay, completely glueless. The product is made up of individual planks which range in length. 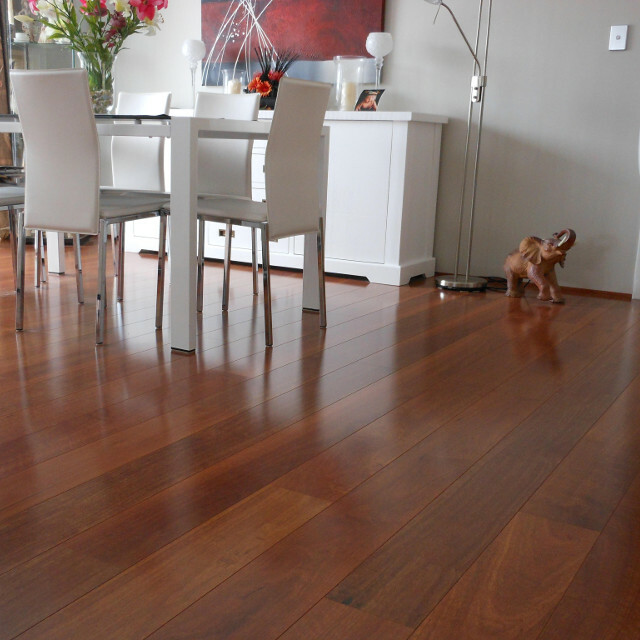 The technology available allows for the most authentic and durable floors ever seen, in a very cost effective product. Easy to replace individual boards and part replace sections with glueless installations. Cannot be resanded and coated.